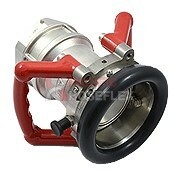 We are the Australian and New Zealand distributor for Klaw Products. Klaw products are designed for Industrial, Marine and Cryogenic applications. Breakaway Couplings have breakstuds that hold the two halves of the coupling together. 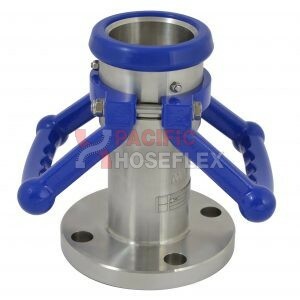 Its purpose is to resist external loads and line pressure up to a pre-determined point. The Coupling then activates when subjected to forces higher than the breakload setting. 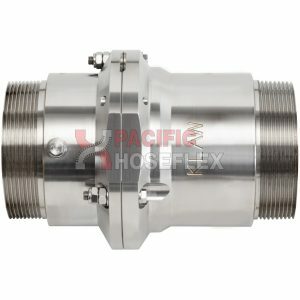 Emergency Release Couplings offer a release collar mechanism that resists operating loads via a cable or hydraulic system. A Dual release system utilising both cable and hydraulic methods is also an option. The Emergency Release System can be designed to your specific needs. Each type is carefully considered during specification to ensure the system is correct for the application. The KLAW range has been designed and developed to deliver reliable transfer solutions that meet the expectations of today’s environment and evolving regulations. Choosing KLAW means you have taken the right precautions in delivering a safe and reliable product transfer system.